As More Turn From Prescription Opioids To Heroin, Can Arizona Keep Up? There has always been a drug problem in John’s hometown. It’s just the drug of choice that has changed. “A couple years ago it was all meth. Now it’s all opioids,” said the 24-year-old, who is in recovery for heroin addiction. The city of Kingman is in rural northwest Arizona, a region with some of the highest opioid overdose rates in the state. He sits outside a coffee shop on the edges of Kingman, Arizona where he grew up. He first tried opioids when he was only 10 or 11. “I started with pills, hanging out at school. It’s everywhere,” he said. 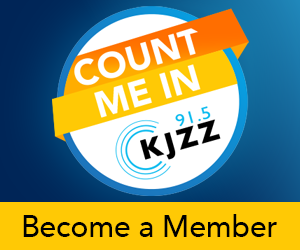 KJZZ isn’t using his real name because of his history of illegal drug use. He is acutely aware of how opioids have hijacked his life. He has been sober now for two weeks, but it’s not easy in this rural, relatively poor northwest corner of the state, which has some of the highest overdose rates. There are few treatment options. He drives nearly an hour to see his doctor who prescribes him a medication called Suboxone that cuts down on the withdrawal symptoms. It was there, while he was getting blood work done, that he saw a flyer with a phone number and the word HOPE — Heroin Overdose Prevention Education unit. He called the number and the next day he met up with a volunteer for HOPE, a local harm reduction group, to pick up clean needles and naloxone — a drug that reverses opioid overdoses. John is getting the naloxone for his friends who are still using. He says he has only seen one person with the lifesaving medication “out of the couple hundred people” he knows who use opioids. A local harm reduction group provides clean needles and naloxone to the community. Several years ago, Arizona loosened restrictions on the medication so anyone can buy it without a prescription, but that is news to him. “I didn’t even know you could go into a pharmacy and get it,” he said. Since June, more than 800 people are believed to have died from opioid overdoses in Arizona. As part of its response to the opioid epidemic, the state has given out more than 7,000 naloxone kits and pushed to get all first responders to carry the drug. But ensuring these policies reach the drug users in a place like Kingman — hard hit by Arizona’s opioid epidemic and hundreds of miles from Phoenix — is a different story. 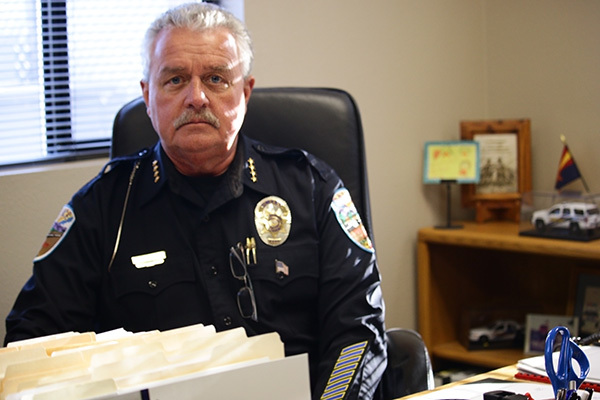 “It really crept up on us quietly… the pill abuse,” said Kingman Police Chief Robert DeVries. In 2016, Mohave County — population 200,000 — had the most opioid prescriptions per capita in the state. Governor Doug Ducey has held up the vast county as emblematic of the crisis, a place where bad doctors dole out millions of pills. But DeVries said that isn’t killing people as much now. “Heroin is the leading cause that we are seeing of our overdose deaths,” he said. This is true across the country, especially as states tamp down on prescribing and limit the supply of pills. "We are not going to arrest our way out of this situation." “There does seem to be evidence that people are shifting from the traditional prescription opioids to heroin and illicitly manufactured fentanyl, both of which are more deadly,” Bob Anderson with the Centers for Disease Control and Prevention said after the release of new end-of-year data showing more than 60,000 people died from drug overdoses in 2016. Deaths from heroin tripled between 2012 and 2016 in Arizona. It’s now the most common drug found in those who overdose, right ahead of oxycodone, according to new state numbers. Lawmakers took a big step toward that last month during a special session of the Arizona legislature. In less than a week, they unanimously passed a host of new laws to restrict prescribing and increase oversight, eliminate barriers to evidence-based treatment and protect drug users who call 911 in good faith to report an overdose. It also included $10 million to pay for treatment for those who don’t have access. DeVries said that is where any new money to fight the opioid epidemic should be spent, not on hiring more police officers. 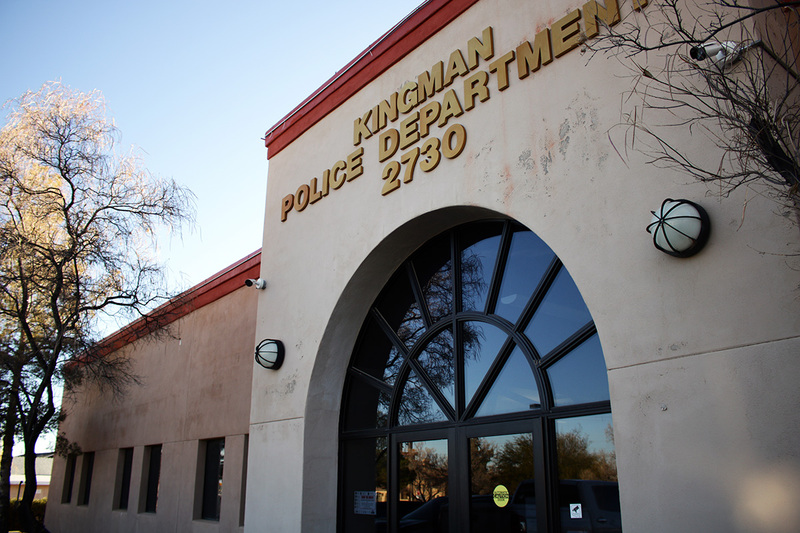 Kingman was the first police department in the state with officers carrying naloxone. Now it’s pursuing a more controversial strategy — syringe access programs. “We are looking at how we can implement [the program] that will be acceptable to the community,” DeVries said. Syringe access programs, often called needle exchanges, reduce the spread of infectious diseases, don’t promote drug use and increase the chance drug users will seek treatment, according to the United States Surgeon General. 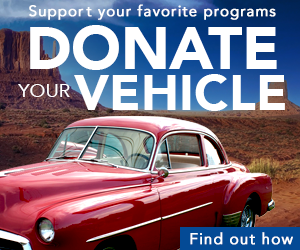 Kingman recently received a federal grant to help start one. But the practice is opposed by some of the state’s top law enforcement officials and still exists in a legal gray area given Arizona’s drug paraphernalia laws. The Governor’s opioid legislative plan didn’t change that. Miriam Goodbody, who works for North Country Health Care, believes there is an epidemic of infectious disease in some of the state’s small rural communities. She logs thousands of miles every year driving across northern Arizona testing for HIV and Hepatitis C in health clinics where many people are dealing with addiction. Due to funding cuts years ago, the Arizona Department of Health Services changed how it tracks Hepatitis C. Only 60 percent of laboratories are reporting new cases right now. “There are people that not only don’t know they have Hep C, but there are also people out in the community using intravenous drugs and sharing things,” Goodbody said. Miriam Goodbody tests for HIV and Hepatitis C in health clinics across northern Arizona, where many are dealing with addiction. Fear the opioid crisis is propelling another crisis of infectious disease isn’t overblown. Mohave County has been identified as one of the most vulnerable in the country to a rapid outbreak of HIV like the one seen in rural Indiana several years ago. “Our HIV and Hep rates, they are doing nothing but climbing,” said Michelle Valandingham, who works on overdose prevention for the Mohave County Health Department. The number of opioid prescriptions in the county fell last year, according to state data. New prescriptions laws are expected to lower the supply of pills even more. In recent years, Mohave County has seen its share of headlines about bad prescribers, including one doctor arrested in 2009 for reckless prescribing and millions of dollars in fraudulent billing. 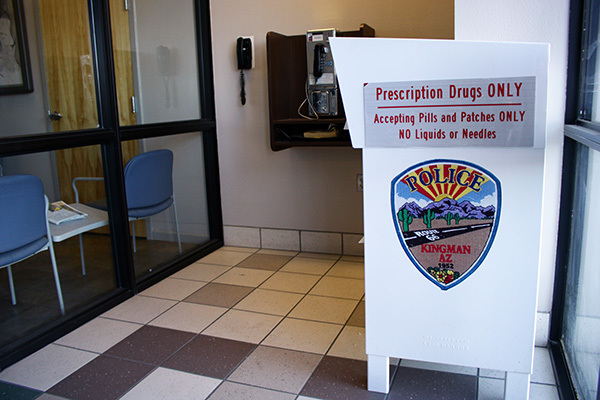 Last year, the Arizona attorney general’s office announced charges against multiple people involved in an “opioid ring” that operated out of a Bullhead City pain clinic. There are not enough ways to connect with drug users in the community, she said. With the new opioid laws, Arizona lawmakers were careful not to require existing patients to lower their doses, which could force even more people to street drugs. The rules only apply to new patients and also ramp up oversight of doctors. From 2002 to 2015 there was a 6.2-fold increase in the total number of U.S. overdose deaths involving heroin. But Dr. William Morrone, the former president of the American Osteopathic Academy of Addiction Medicine, says states like Arizona are essentially playing catch up. “Prescription drug laws are all about four or five years too late,” he said. He said only treatment can reach those people and hopefully in time.